Home > Free Samples Australia > Freebies for Home > FREE Freshnup Wipe Samples!! Enter now to get your FREE Freshnup Wipe Samples. Antibacterial solutions feature PH5 skin moisturizer to safely protect & hydrate your skin. Simply fill the form with your personal details ang grab your sample pack. Let them get free stuff too. 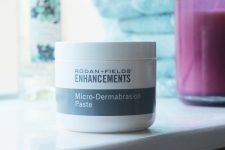 Claim FREE Microdermabrasion Paste Sample! !